Boulder Junction is home to Wisconsin’s largest herd of albino deer. The albino deer herd of Boulder Junction is one of Wisconsin’s great natural treasures. 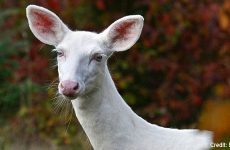 Sometimes referred to as white deer or ghost deer, these white-tailed deer are true albinos, exhibiting pure white coats as well as pink noses, ears and hooves. 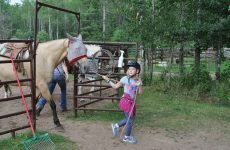 For more shots of Boulder Junction’s albino deer, visit Life in the Northwoods. Seeing one of Boulder Junction’s albino deer is an unforgettable experience. 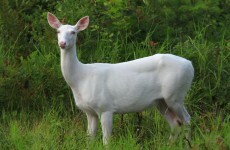 During the spring, summer and fall, the bright coloration of these white deer makes them easy to spot among the forest foliage. 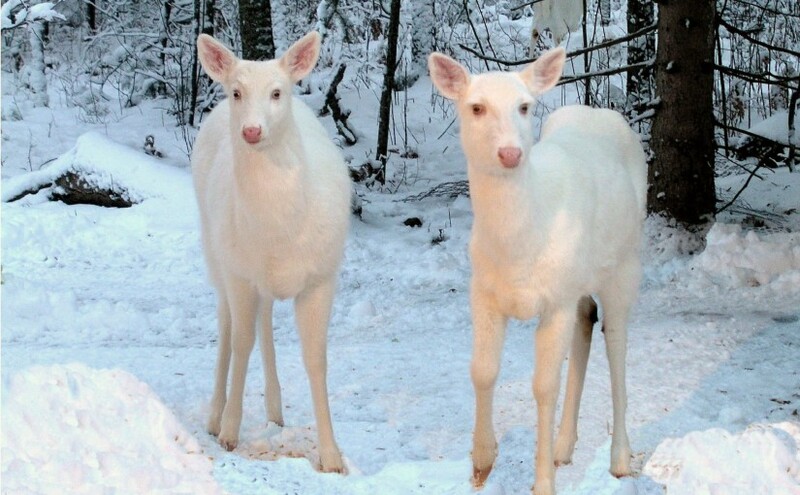 During the winter, the coloring of albino deer blends in with the snowy surroundings, making them appear as ghosts moving across the landscape. LifeintheNorthwoods.com is a photography website focusing on the scenery and wildlife of our beautiful corner of the Northwoods. All photos are available for sale on our website, and many items are available at Moondeer Gallery in Boulder Junction. “Like” us on Facebook to view a new Northwoods photo almost daily.